Today, a student asked me if the Alexander Technique was a spiritual practice, if in effect, it was preparing us for death. My immediate response was that the Alexander Technique prepares us for life. But I also get where she was going. The technique boils down to letting go of the anticipatory gripping that we all do, to a trust in the open-endedness of things. There’s very little that we can know for certain despite history, statistics and planning. If we have the trust, we can leave ourselves free to flow. But so often, and for so many rational reasons, we don’t have the trust. It seems more sensible to prepare for the worst by tensing. Studies in attachment theory point to the ways that early life experiences set the script for how we respond in present time. Pain, injury and trauma etch changes in the brain leaving us reactive, hyper-sensitive and vigilant. Our past experiences combine with the inherent error in human perception, and lead us to habitually over-estimate the tension required for moving. On a day-to-day basis, we are locked into the loop of habit, which saves time, reduces decision fatigue and makes life manageable. But how much are those habits limiting our freedom? How much bracing do we need to do? I don’t trust in anything like a god, but I do have a certain trust in the energy that makes things grow, in life, and in our capacity for resilience. I think about the brain and the nervous system, or the network of roots and fungi in a forrest that communicate. I think about things things that are both mysterious and measurable. My student mentioned that it was a lot less energy to live without the grip, but that it took quite a lot of focus to get off clock time and land in the present. I added that it’s easy to get seduced by posture and body mechanics, but it’s remarkable how well the body works on it’s own when we stop hanging on. Sign-up for blog updates and receive a free audio lesson. Lately, I am learning that the postural support system and the systems for movement planning are separate. 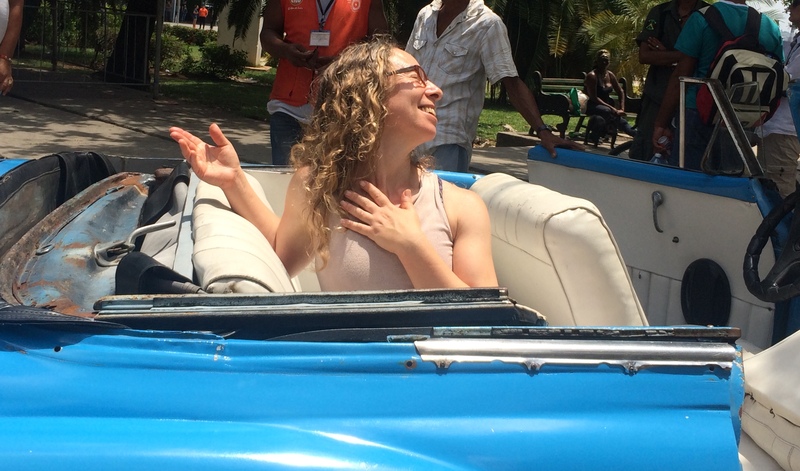 Letting go of the planning agenda and muscles that execute that plan does not mean that the postural support (or shall we say personality support/sense of self) will disengage - even though it for sure feels like that. This is relevant to Alexander Technique study, when the teacher might suggest that you give up your plan because it’s full of habitual tension, and focus on seemingly esoteric concepts like non-doing or directing. Suddenly you feel your upright balance and your mind as free and light, and the process of getting there is inexplicable. It seemed to happen to you. An example of this phenomena might be the YouTube baby balancing clips...infants don’t have the ability to move their own feet to maintain balance, but they can stay upright if the parent adjust their feet under their center of mass. This is likely due to our postural support working, independent of balance and motor planning. 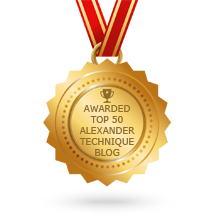 Read all about Alexander Technique in our award-winning blog. Redirect the holding into movement.